Collateral estoppel is a legal term to describe the prohibition against the same two parties litigating the same issue in two separate lawsuits when an issue of ultimate fact has already been addressed and determined by a valid and final judgment. If the same parties could file multiple lawsuits against one another involving the exact same issues, you can imagine how much time and valuable resources that would take up re-litigating already-settled matters. That is the primary concern addressed by collateral estoppel. The objective is to promote judicial efficiency, protect both plaintiffs and defendants from being hauled into court in multiple lawsuits concerning the same matters, and reduce the risk of inconsistent judgments in the same court. The same parties are involved in both suits. The collateral estoppel standard is somewhat different in federal court. 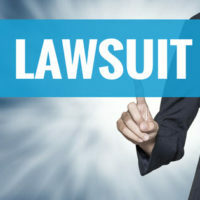 The same three elements described above must be met, but federal courts require that the contested issues in the first lawsuit be identical to the issues in the second lawsuit. What does “actually litigated” mean? Under collateral estoppel, an issue was considered to be “actually litigated” when it was challenged by one or more of the parties and the court issued a determination on that issue. For example, in James Talcott, Inc. v. Allahabad Bank, Ltd., 444 F.2d 451 (5th Cir. 1971), the court succinctly stated that when a question of fact is part of the pleadings of the case and those questions of fact are considered by a judge and/or jury for a final determination, then that question of fact (i.e. issue) has actually been litigated. Some plaintiffs may try to argue that collateral estoppel does not apply to their second lawsuit because the first lawsuit has been appealed. This is not accurate. In Texas, a state court judgment that has been appealed is considered to be final when analyzing a collateral estoppel challenge. If you or your company is being subjected to a civil lawsuit, it is extremely important to retain the services of skilled and experienced civil defense attorneys who have a thorough understanding of Texas law and can challenge the viability of a civil claim. That is why you should contact the Brownsville defense law firm of Colvin, Saenz, Rodriguez & Kennamer L.L.P. today.